From the moment I accidentally purchased this book to the moment I finished the rear material I was thinking about it in almost every quiet moment, and for a couple weeks later the phenomenon continued. The thing that makes this story so compelling is that it’s a story of evil, but not one of conscious evil. Westover’s family is dysfunctional, abusive, and righteous. Being sure of righteousness, however, is blinding. Nobody in the Westover family would consider themselves evil, but they are blinded by mental illness or indoctrination to the consequences of their actions. It’s an interesting study for those interested in the way that our consciousness about the world shapes our perception of the world. One of the most compelling moments in the story comes when Westover recounts ignorance of the Holocaust during a history class and how she told off like she was telling an off-color joke. I think that this provides an eye-opening lesson for many of us, an opportunity to see outside our society. We can tell when people who are very different from us are different, know that they are coming into life with different assumptions than us. But when we meet someone who looks like us, talks like us, dreams like us, but does not know what we know and does not, for lack of a better term, belong among us, how do we respond to them? Westover’s own conflict between the cosmos presented by her family and the cosmos provided by mainstream western civilization is a key component of the final parts of the memoir, which recount her studies at Cambridge. I could say more, but I think to do so would be to spoil the experience. 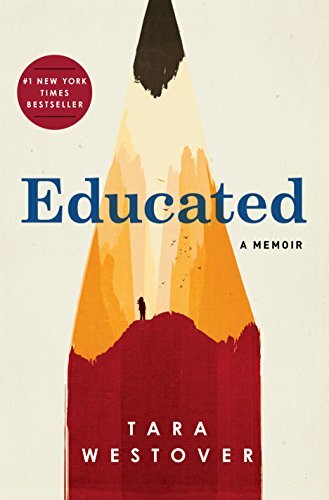 Educated: A Memoir is tantalizing. It’s sordid, but realistic and not seeking attention so much as building understanding. It’s ennobling, but also builds a connection to the unenlightened world. It’s cerebral, but also keenly emotional and in touch with the deeper felt parts of the psyche. If I had known what was in this book, my purchase of it would not have been accidental, and it would have been much sooner than it was.